The name of Leo Strauss is everywhere, from national newspapers and magazines to innumerable political blogs. Most of these media have perpetuated the idea that Strauss’s work molded the opinions of neoconservative foreign-policy hawks connected with the Bush administration. 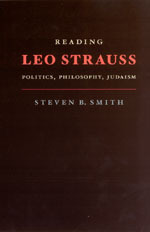 But in Reading Leo Strauss, Steven Smith recasts the renowned philosopher’s thought in a more nuanced light, portraying him not as the father of neoconservatism but instead as an ardent defender of liberal democracy.… Read the press release. Read an excerpt. . . .
On April 19 at 4:00 p.m., Slavoj Zizek, documentary film star, Critical Inquiry visiting professor, and co-author of The Neighbor: Three Inquiries in Political Theology, will present another lecture at the University of Chicago. This week’s lecture, "The Uses and Misuses of Violence," will take place at the Max Palevsky Cinema (1212 E. 59th Street). The event is free and open to the public. In The Neighbor, three of the most significant intellectuals working in psychoanalysis and critical theory collaborate to show how the problem of neighbor-love opens questions that are fundamental to ethical inquiry and that suggest a new theological configuration of political theory. Their three extended essays explore today’s central historical problem: the persistence of the theological in the political. In "Towards a Political Theology of the Neighbor," Kenneth Reinhard supplements Carl Schmitt’s political theology of the enemy and friend with a political theology of the neighbor based in psychoanalysis. In "Miracles Happen," Eric L. Santner extends the book’s exploration of neighbor-love through a bracing reassessment of Benjamin and Rosenzweig. And in an impassioned plea for ethical violence, Slavoj Zizek’s "Neighbors and Other Monsters" reconsiders the idea of excess to rehabilitate a positive sense of the inhuman and . . .
On April 12 and April 19 at 4:00 p.m., Slavoj Zizek, Critical Inquiry visiting professor and co-author of The Neighbor: Three Inquiries in Political Theology, will present two lectures at the University of Chicago (1126 E. 59th Street). The April 12 lecture is titled "The Ignorance of Chicken, or, Who Believes What Today." The April 19 lecture is titled "The Uses and Misuses of Violence." Both events are free and open to the public. In The Neighbor, three of the most significant intellectuals working in psychoanalysis and critical theory collaborate to show how the problem of neighbor-love opens questions that are fundamental to ethical inquiry and that suggest a new theological configuration of political theory. Their three extended essays explore today’s central historical problem: the persistence of the theological in the political. In "Towards a Political Theology of the Neighbor," Kenneth Reinhard supplements Carl Schmitt’s political theology of the enemy and friend with a political theology of the neighbor based in psychoanalysis. In "Miracles Happen," Eric L. Santner extends the book’s exploration of neighbor-love through a bracing reassessment of Benjamin and Rosenzweig. And in an impassioned plea for ethical violence, Slavoj Zizek’s "Neighbors and Other Monsters" reconsiders the idea of . . . The Times Higher Education Supplement recently reviewed Andrzej Szczeklik’s Catharsis: On the Art of Medicine. In the review, Niall O’Higgins said: "This book is timely in its publication and timeless in its content.… Drawing on mathematical ideas, physics, music, mythology, clinical science and clinical practice, Szczeklik never forces the issues or compels. He treads lightly. He reminds and explains. He draws attention to details of physiology that can be explained and those that remain mysterious. He shifts gears effortlessly between the known and the mysterious and, being a cardiologist, seems particularly at home in explaining the amazing conducting system of the heart. To describe a single extrasystole, an ectopic heartbeat, as like a slight stumble in a dance and to introduce the complex mechanism of hearing with the statement that ‘every one of us has a tiny harp inside his ear’ suggests that he is a skillful teacher.… The kathartai, forerunners of doctors in pre-Hippocratic Greece, were said to purify the soul by the soothing and calming combination of music, dance, poetry and song. Szczeklik is in tune with them." The ancient Greeks used the term catharsis for the cleansing of both the body by medicine and the soul by . 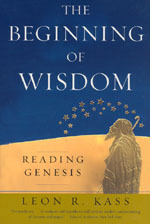 . .
Publishers Weekly recently reviewed Steven B. Smith’s Reading Leo Strauss: Politics, Philosophy, Judaism: "Though German philosopher Leo Strauss (1899-1973) is referred to as the father of neo-conservatism, Yale political science professor Smith argues that relationship is a ‘mountain of nonsense’ and that Strauss was ‘a friend of liberal democracy—one of the best friends democracy ever had.…’ Smith quietly builds a persuasive case that Strauss’s work ‘makes clear that the danger to the West comes not from liberalism but from our loss of confidence in it.’" Interest in Leo Strauss is greater now than at any time since his death, mostly because of the purported link between his thought and the political movement known as neoconservatism. Steven B. Smith, though, surprisingly depicts Strauss not as the high priest of neoconservatism but as a friend of liberal democracy—perhaps the best defender democracy has ever had. Moreover, in Reading Leo Strauss, Smith shows that Strauss’s defense of liberal democracy was closely connected to his skepticism of both the extreme Left and extreme Right. . . . Choice: Current Reviews for Academic Libraries recently reviewed Andrzej Szczeklik’s Catharsis: On the Art of Medicine. From the review: "A rash of reflections on medicine has been published by senior physicians approaching retirement. Most are autobiographical, often maudlin, and usually self-serving. This jewel of a book is an exception. explores the patient-doctor encounter, a mysterious process that has constituted the art of medicine since time eternal.… The text is peppered with illustrative case histories, and salted with the resources of a prodigious intellect that mixes history, philosophy, mythology, and poetry in telling the story. This is a wise, erudite, and insightful book that has been translated sensitively from the original Polish. It makes for an enormously good read that will enrich the life of anyone who peruses it. Highly recommended." Read an excerpt. . . . These days, the state of the sovereign is strong. But issues such as warrantless wiretapping by the National Security Agency have now prompted a debate over how much power the executive should have in times of war and crisis. Two recently published books offer some philosophical perspectives on the powers of the sovereign. The first is Giorgio Agamben’s State of Exception; see an excerpt, “A Brief History of the State of Exception.” The second book is our just-released reprint of Carl Schmitt’s Political Theology: Four Chapters on the Concept of Sovereignty.. . . .